Pokémon Go is augmented reality based game where you can become a Pokémon master by physically walking around (in real life) looking for Pokémon to catch. Childish you say? Well no not actually, Pokémon Go is designed to get us up and out of the house and away from staring at screens and binging on reality TV. On top of that, Nintendo have created ‘PokéStops’ which are famous landmarks (in real life) you have to go to where (on the app) you can buy special potions and find out a bit more about the landmark. Pretty cool, huh? Educational, fun and burning calories all at the same time. So what did this mean for trading? The game extended the Nintendo shares by up to 53% in the three trading days since the game launched and added $7.5 billion to the Nintendo market value. It also knocked Twitter, Facebook, Snapchat and Instagram of the top of the carts when it came to app traffic. Nintendo have famously been very protective over their games, wanting consumers to only be able to play them on Nintendo consoles. But by popular demand they promised to bring more games out on smartphones by march next year, which means that the shares are only going to rise! On top of this, if you were trading JAPAN225 on and after the 7th July 2016 (the time of the Pokémon Go release), do you think the game could have anything to do with the increase? Well, some people think that the game will be short lived. Michael Pachter, an analyst at the stockbroker Wedbush Securities said, “The game requires couch potatoes to get off the couch, and the novelty will wear off when they get tired or when their phone batteries die. I give these four months at the top of the charts, then it will fade.”. Do you agree? I don’t think so; Nintendo seem to have a lot of tricks up their sleeves! 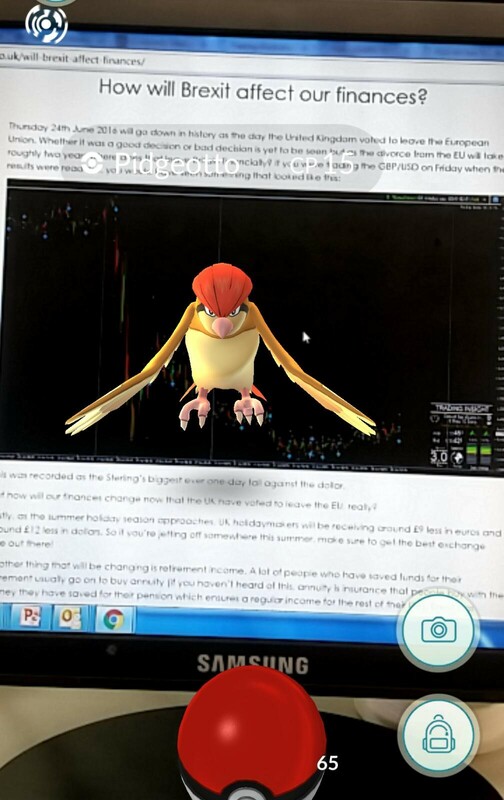 In the meantime, come to the Learn to Trade offices and grab yourself a Pidgeotto.